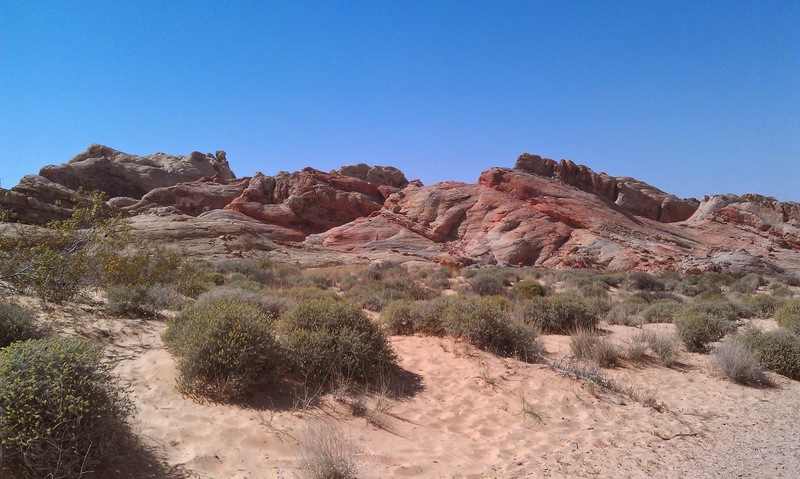 Valley of Fire State Park is Nevada's oldest state park. 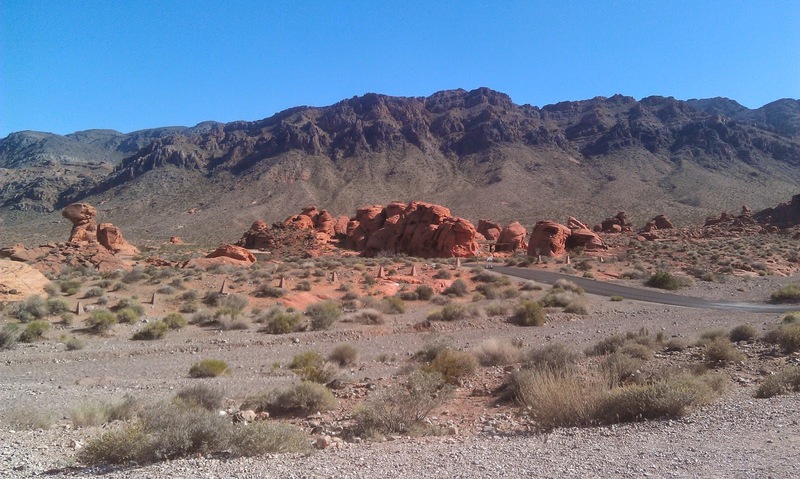 It is also a hidden gem and if you are ever traveling between Las Vegas and St George, you should take the opportunity to check it out. 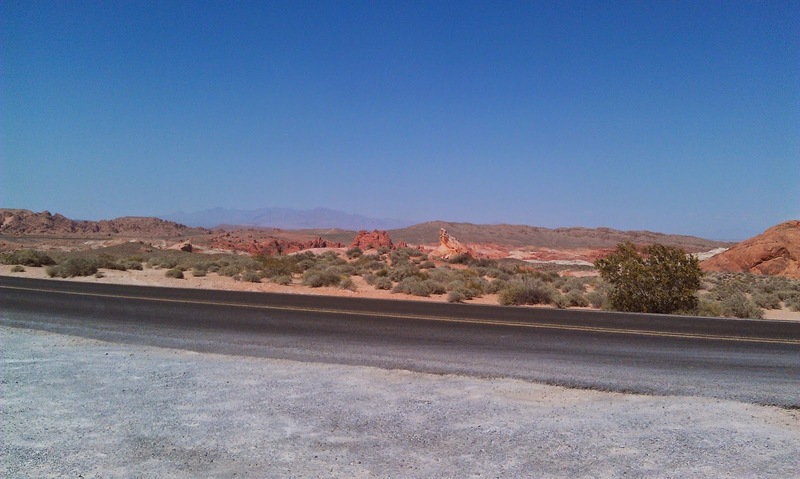 Normally the drive along north I-15 is pretty dull: just brown dessert and you are surrounded by muddy / brown hills. 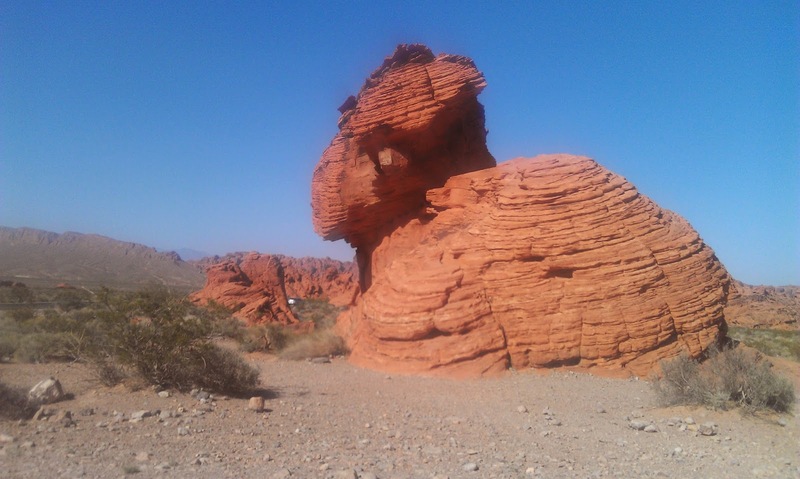 It is still fascinating but certainly not jaw dropping. 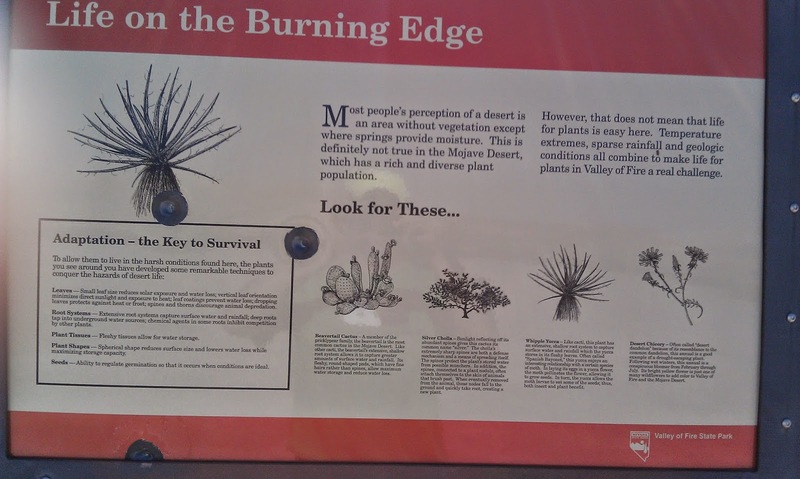 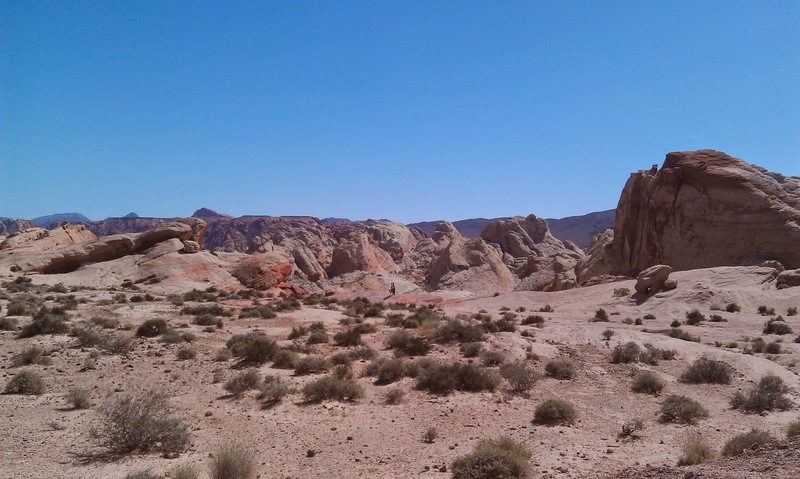 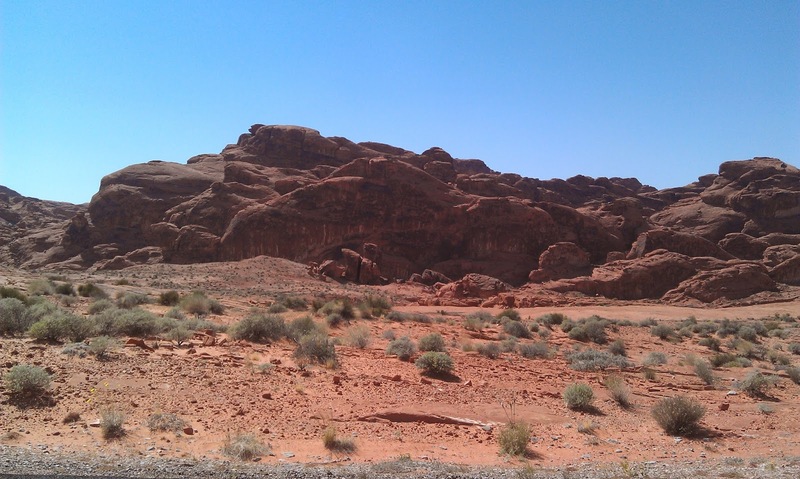 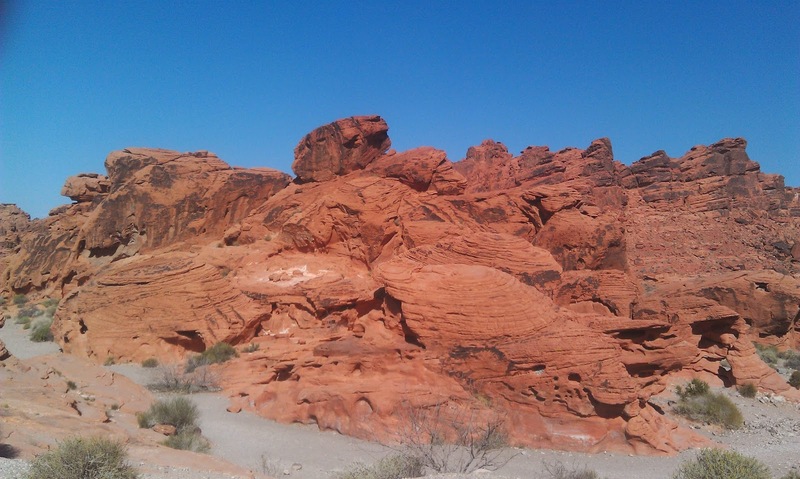 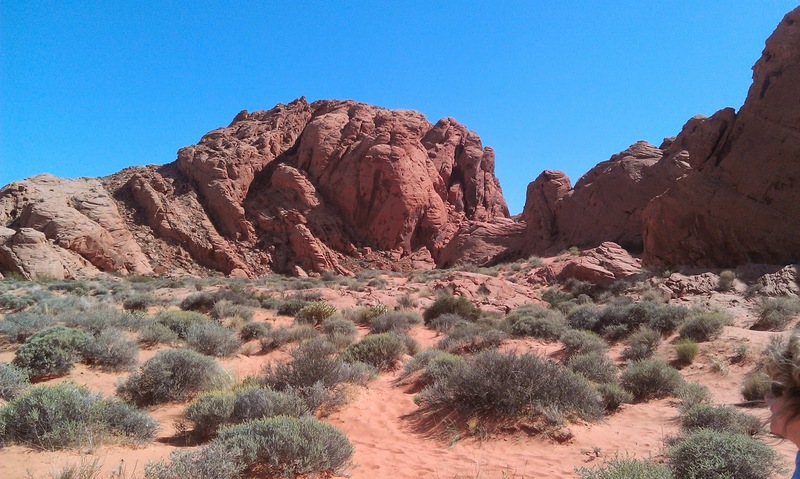 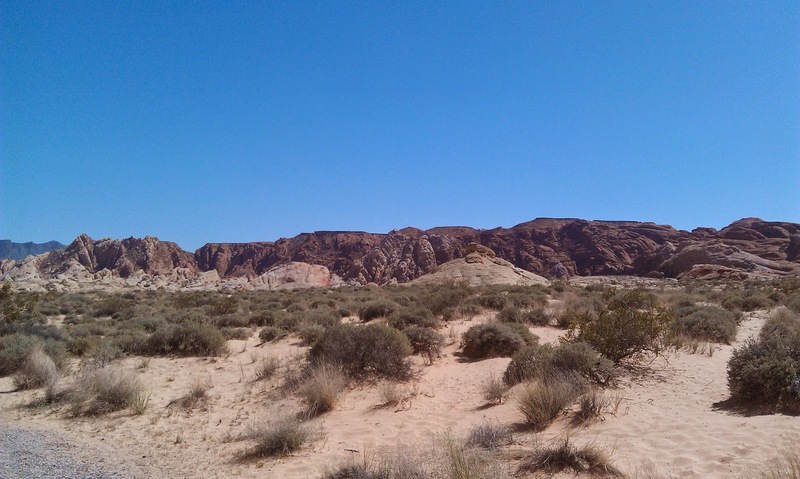 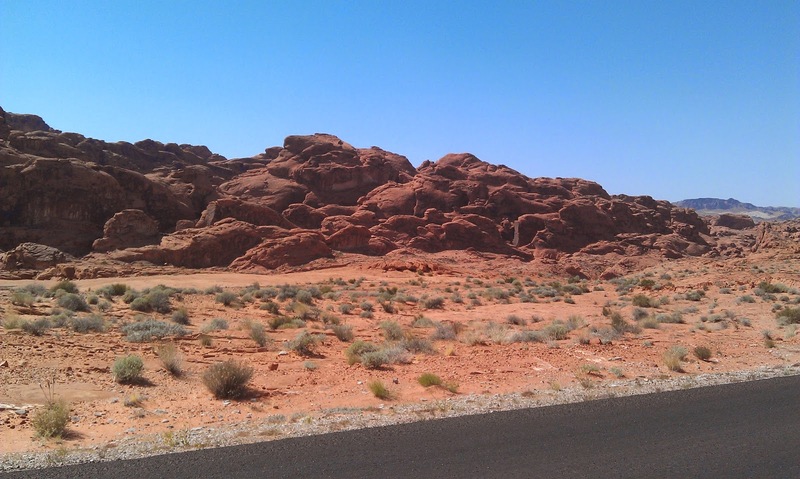 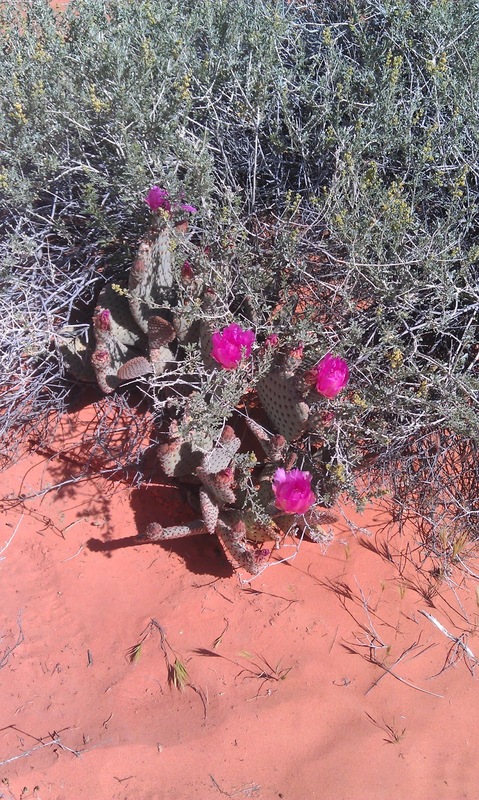 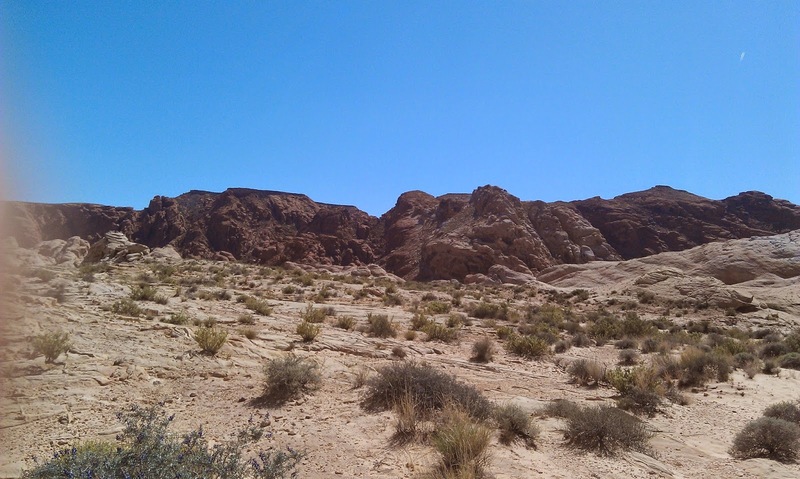 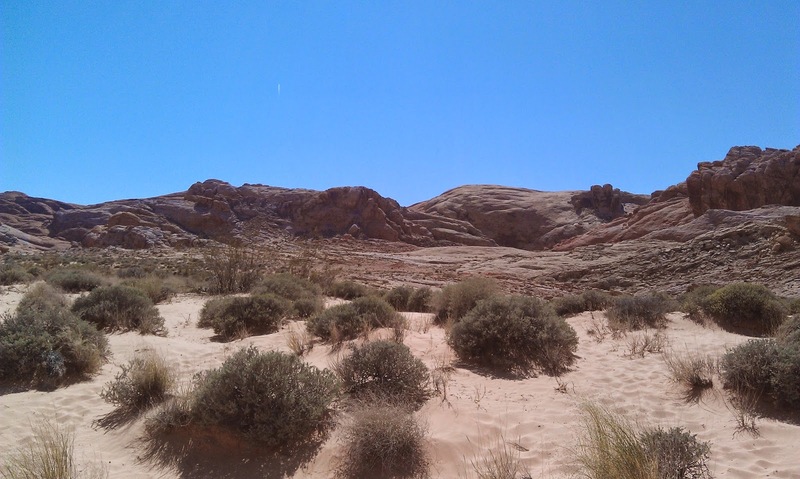 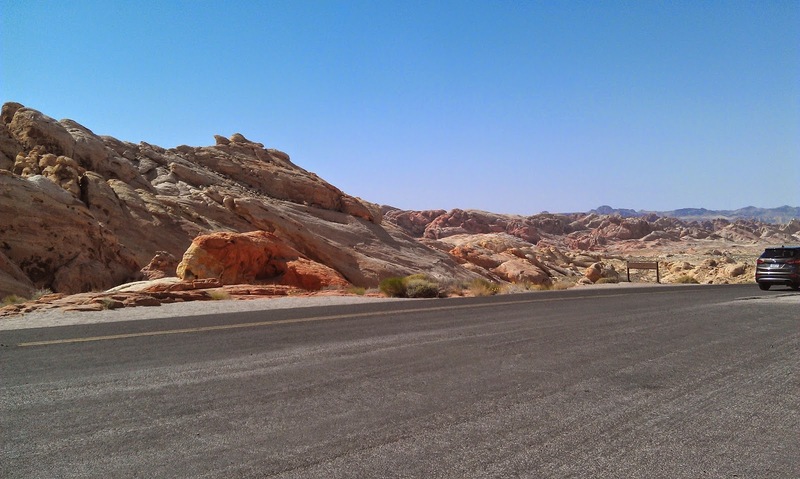 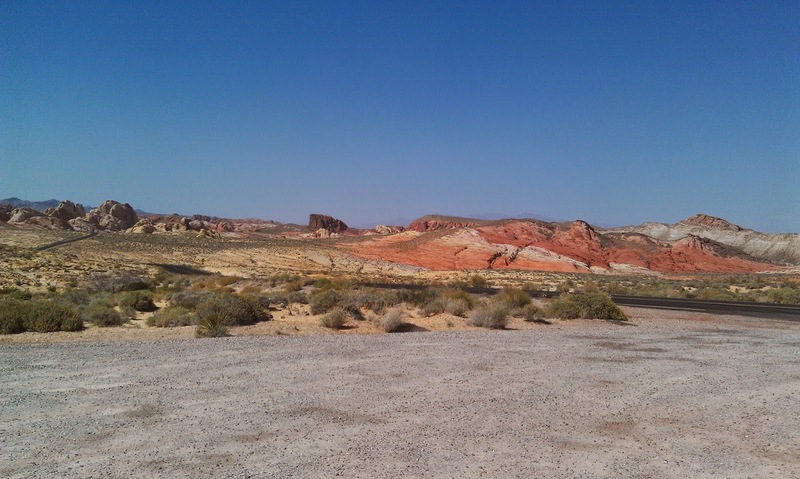 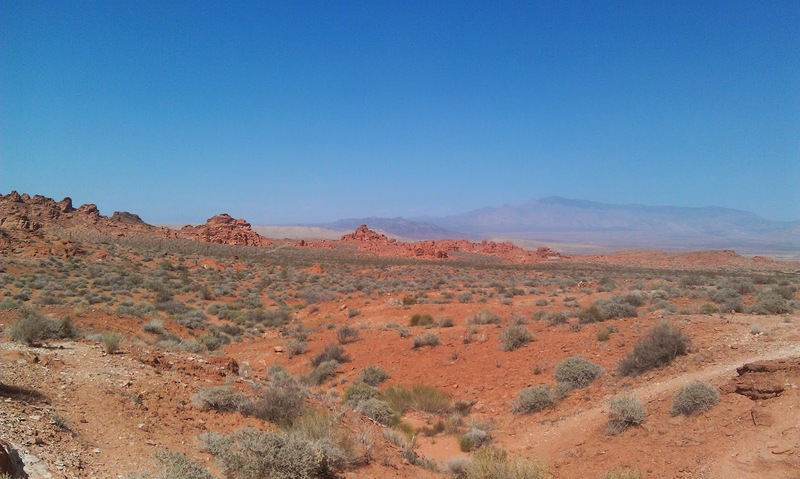 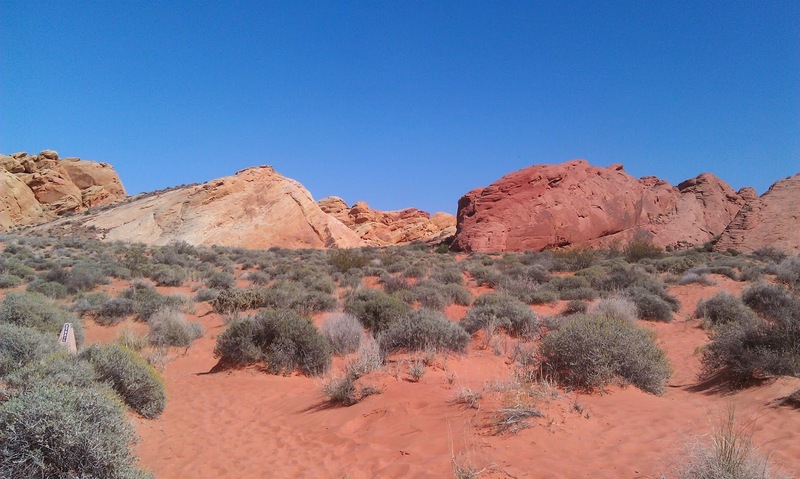 However, just over the Muddy Hills is a treasure trove of natural beauty: the Valley of Fire. 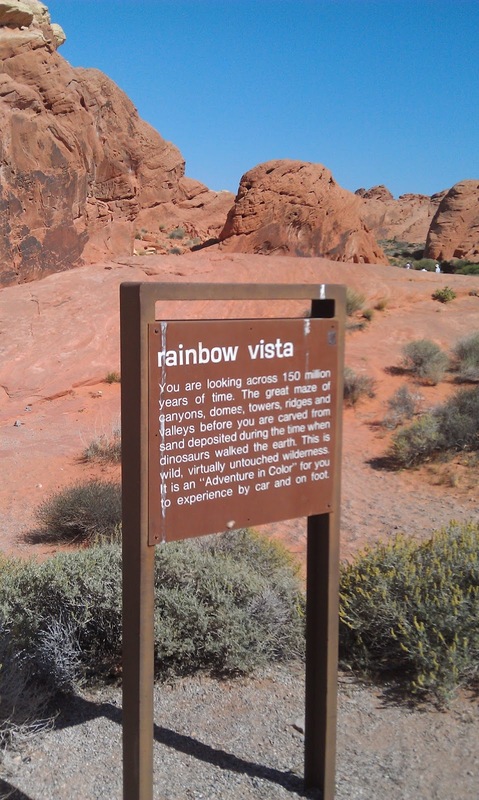 Located about 14 miles from the I-15 Exit 75, the park is not hard to find. 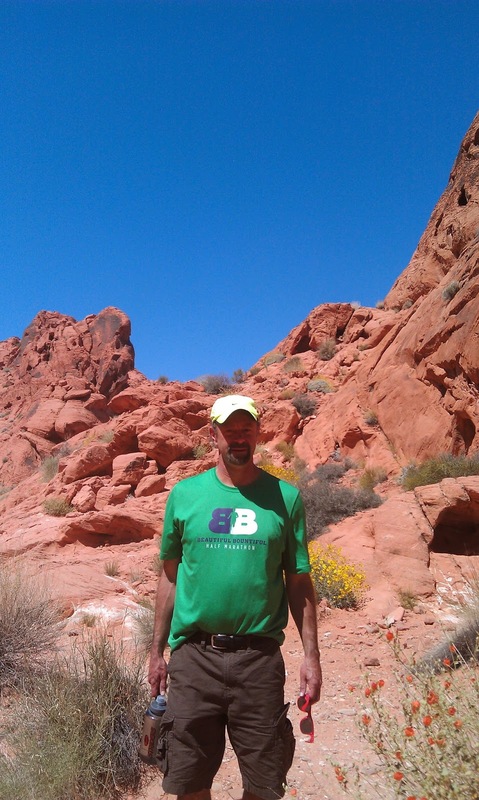 The first 10 miles are easy rolling hills and the final 4 or so you descend through a few winding roads to the Valley. 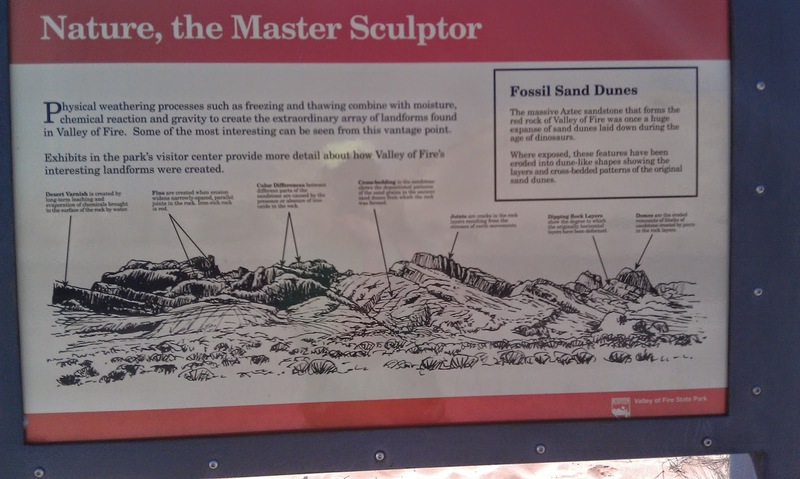 You pay $10 and you start on the west end of the park. 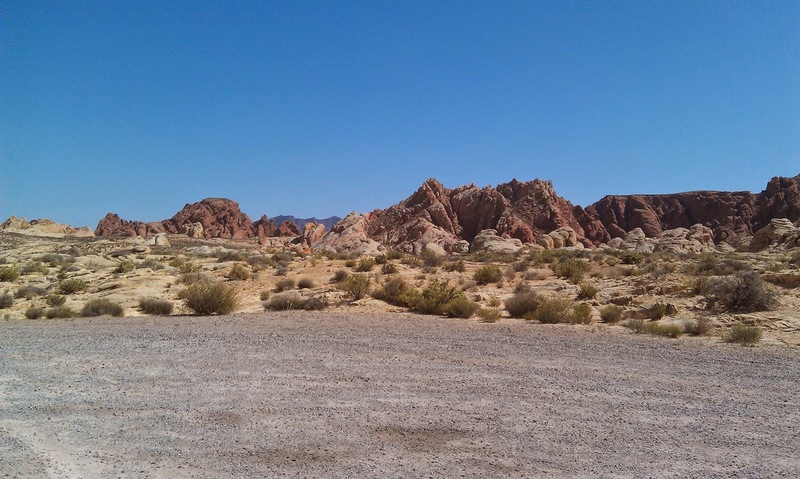 We drove north and visiting the Mouse's Tank trail and the White Domes trail. 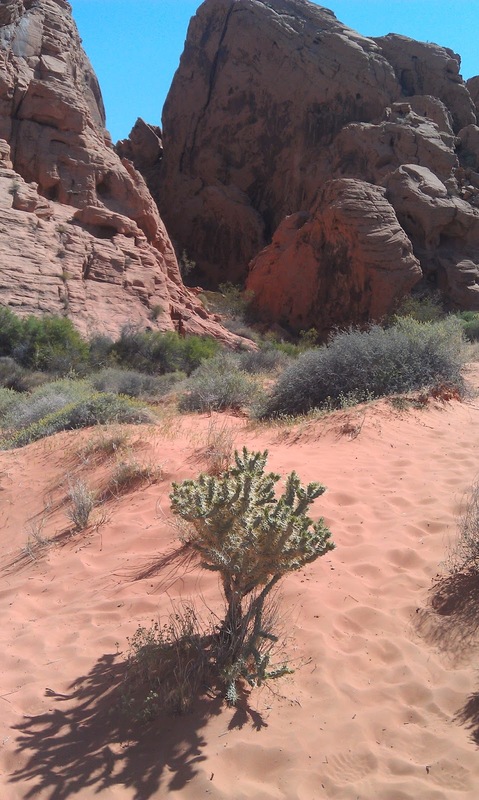 We then headed east to the Elephant Trail. 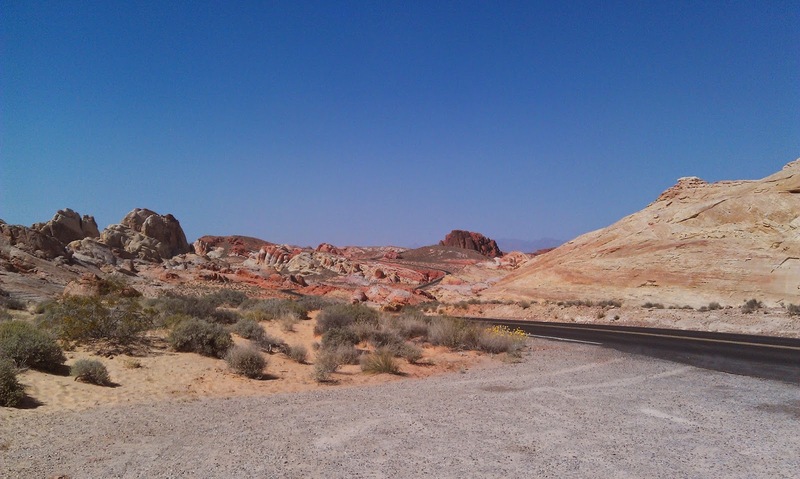 You can exit via the east exit and then travel about 20 miles north to get to the I-15 -- which is what I should've done instead of exiting the park and going back the way we came. 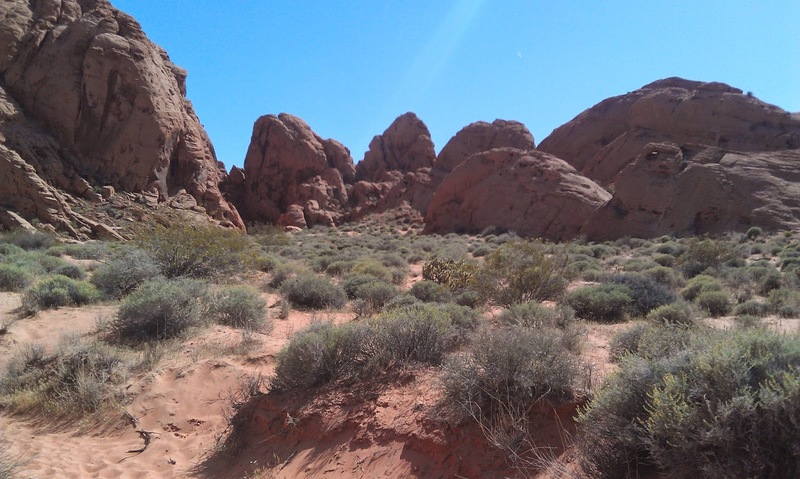 A tip to travelers: there isn't much shade in this park, so bring sunscreen and pay attention to the temperature. 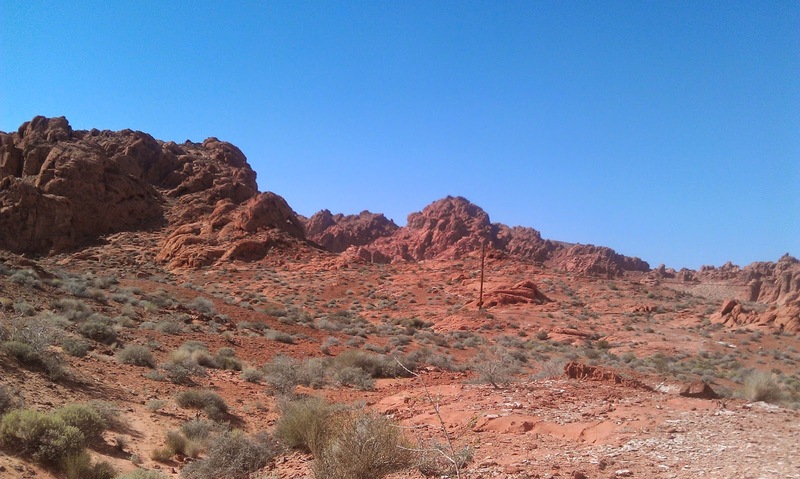 It was a bit cooler than Vegas there but still the sun is intense. 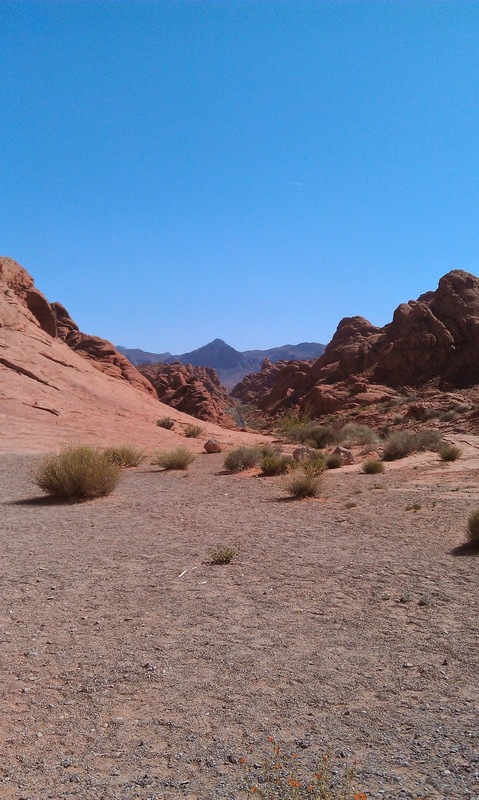 Also the trails are primarily sand, so the sun reflects off of it. 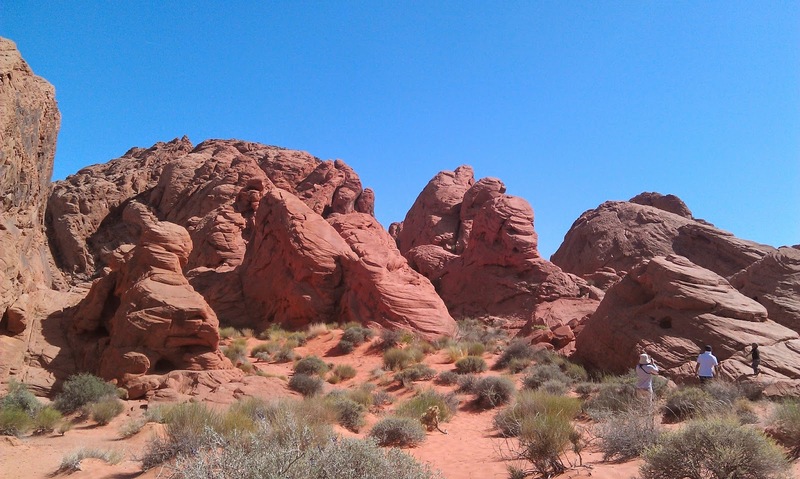 Also bring plenty of water / hydration. 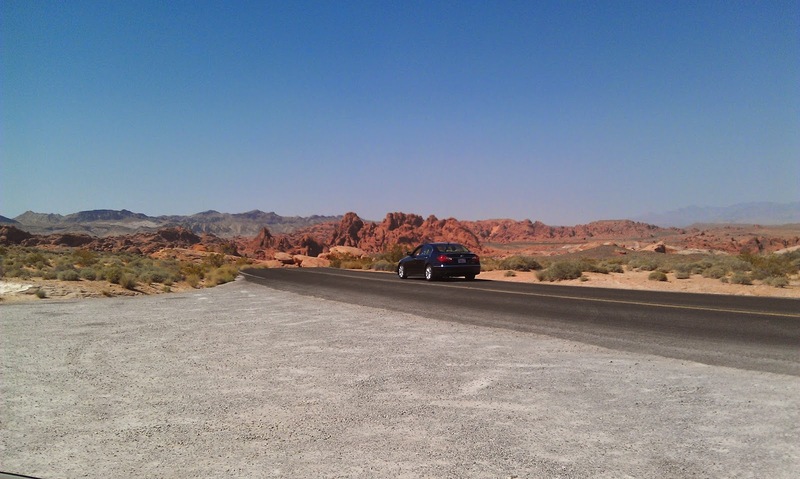 There aren't any gas stations near by either, so fill up. 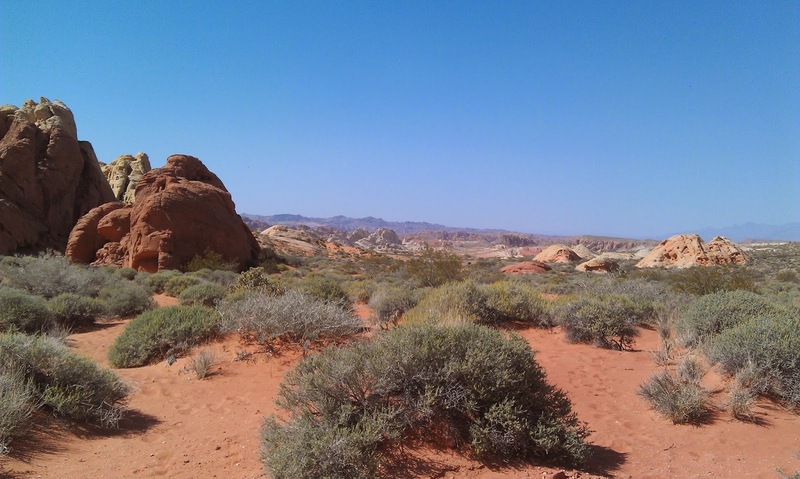 We didn't check the ranger station for food, but I imagine there may be some, but there aren't any food places to go to either. 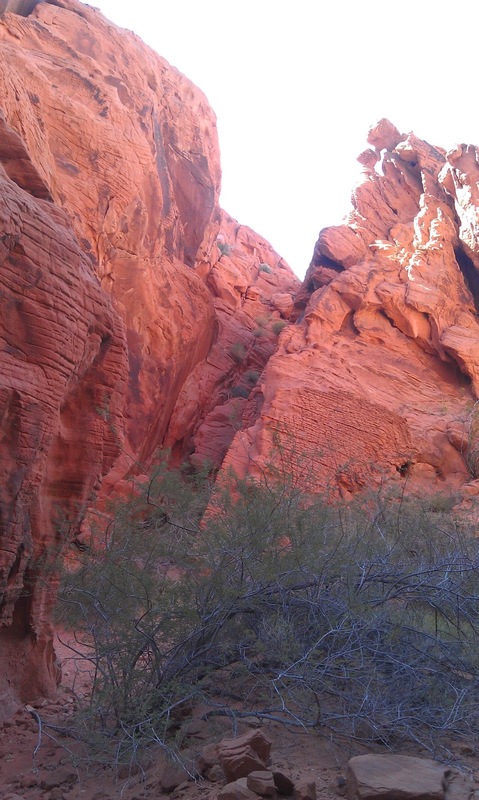 Finally, what you will see here are a lot of petroglyphs and natural wonders / rock formations. 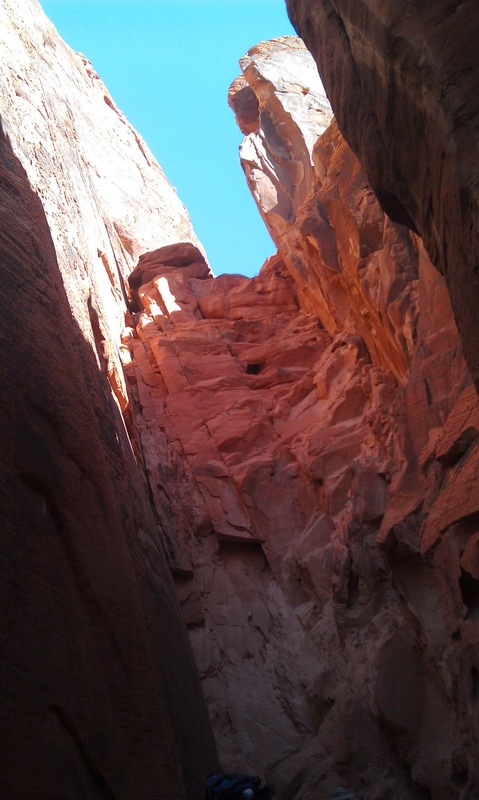 The trails are all super easy to hike on and don't require any special equipment. 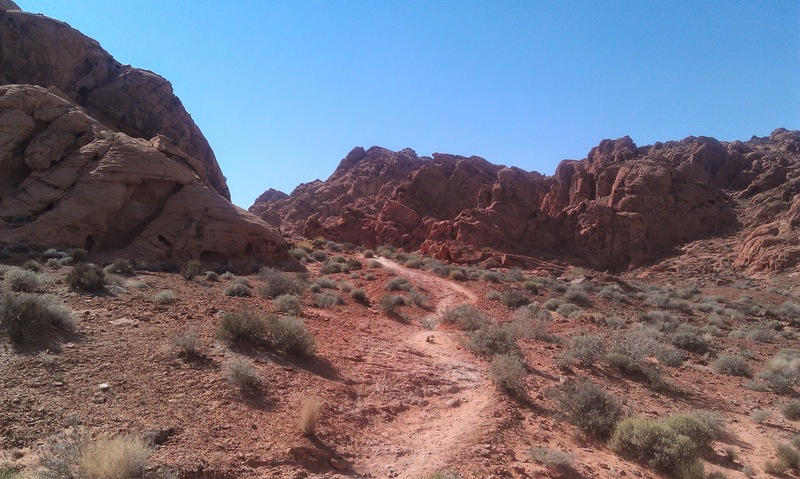 The trails are primarily sand, so it is like walking on the beach (sans the water of course). 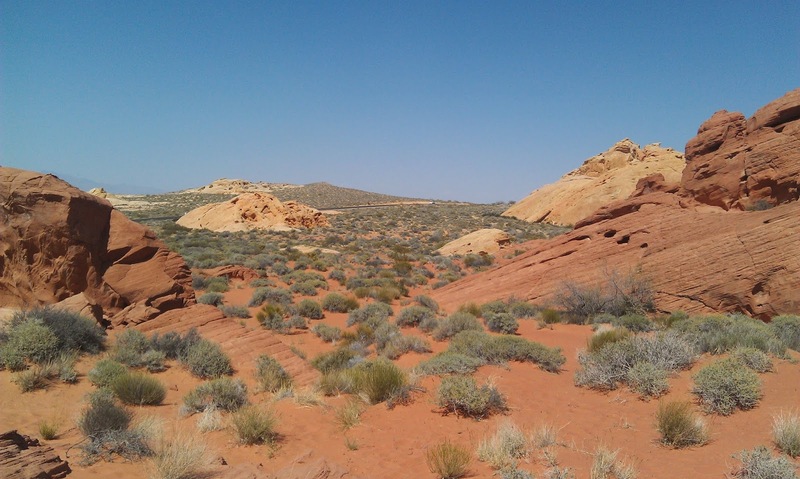 Most of the trails are flat too and are well marked.